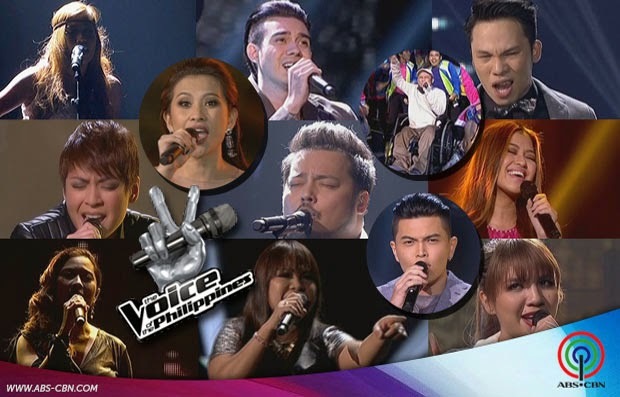 The Voice of the Philippines Season 2 episode last night, January 25, 2015, revealed the results of the season's first Live Show held the night before. Nothing much surprising in the results, except for Coach Bamboo Mañalac saving Rita Martinez over Karlo Mojica, and while many couldn't believe that Kai Honasan, probably the most-hated artist of The Voice Philippines Season 2 (after Bamboo chose her over Elmerjun Hilario), ironically topped the voting for Kamp Kawayan and is going through, I wasn't surprised 'coz it's actually what I had predicted. 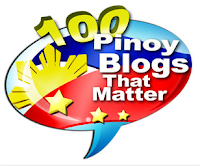 Leah Patricio, Kai Honasan, Daryl Ong and Jason Fernandez will top the voting or will be saved by the voting public in their respective teams, while Abbey Pineda, Rita Martinez, Ferns Tosco and Poppert Bernadas will get eliminated. As it turned out, I almost got them completely right, except that it was Monique Lualhati who got saved by public vote and not Jason Fernandez, and also it was Rita who got picked by Bamboo and not Karlo Mojica. Kai was saved by public vote - with 44.71% of the votes (the other 2 got 30.05% and 25.24%). Rita was saved by Coach Bamboo. I actually thought Bamboo would favor 4-chair turner Karlo (a PWD) over 1-chair turner Rita, basing on how he's been building up Karlo since the Battles, and also because, he already eliminated Rita during the Knockouts, but the latter returned to the competition after Joniver Robles' shocking exit. (Read: The Voice of the Philippines: Controversy on Joniver Robles' Exit) And so I think Bamboo is looking already on the business side of things. Monique was saved by public vote - with 40.4% (the other 2 got 32.15% and 27.45%). Jason F was saved by Coach Sarah. It was one hard decision for Sarah. Saving a stolen artist over a 4-chair turner? But it was actually a smart choice. Leah was saved by public vote - 46.37% (the other 2 got 28.13% and 25.5%). Nino was saved by Coach Lea. It was sooooooo expected. The least suspenseful results last night. And I bet Miss Lea didn't have a hard time deciding on that one. Daryl was saved by public vote with huge 50.43% (the other 2 got 35.87% and 13.7%). Suy was saved by Coach Apl.